More information about those named on the memorial can be found by visiting www.roll-of-honour.com/Suffolk/BuryStEdmundsBoer.html. 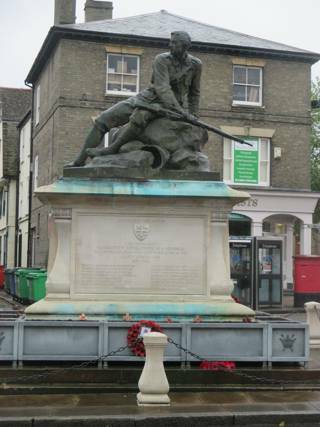 The memorial itself stands in the Market Square, Cornhill, Bury St Edmunds. The GPR holds 193 person records for the war memorial.